Jaelyn Lipscomb, aka Lame.Jae is a 16 years old rapper who is currently living in Hopemills NC. He wanted to become a artist when he heard Lil Pump- Elementary almost a year ago. 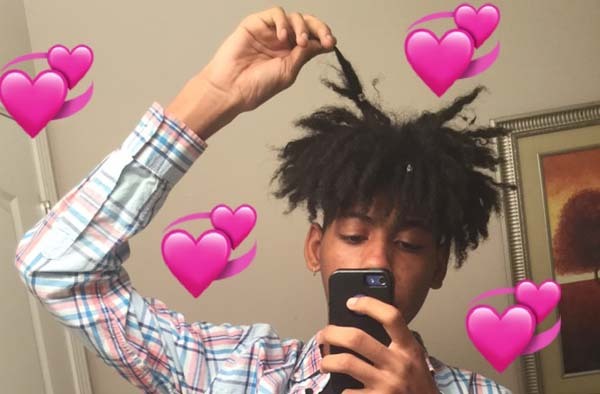 His favorite artists are Xxxtentacion,Lil Pump, Smokepurpp, Jaden Smith , and Yori. He started making music a week ago and he already has 580 plays total on soundcloud. He is making music to entertain people and make them feel happy, but mostly to have fun. The person that helped him get into music is a friend of him named $inbadtheindigo. Together they made a music group called DIRTBAG$ with 4 other rappers. He loves listining to Lil Boom and Lil Pump. Lame.Jae his music has a chil vibe but you will feel at the same time very energic. His goal in life is to spread a positive energie around people while listining to his music. He wants to make the XXl Freshman list of 2023 so he have some time left to break through. Check his soundcloud below.